1. 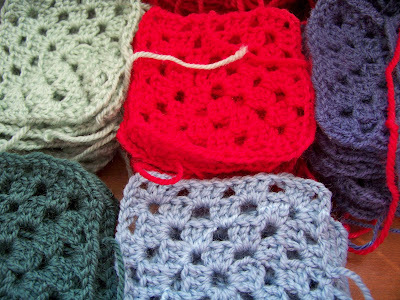 To crochet a single sized blanket, you need approximately 300+ crocheted squares. 2. I have never crocheted before. I was inspired by this blanket, made by my Aunty Mona, which used to grace my bed when I was a youngun. It's in pretty rough nick now with some of the stitches coming apart and the yarn disintegrating, and we use it in the lounge these days. 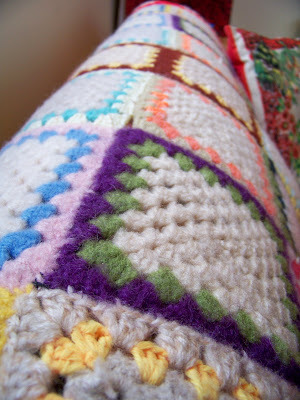 I'm also not much of a fan of the multicoloured granny squares. 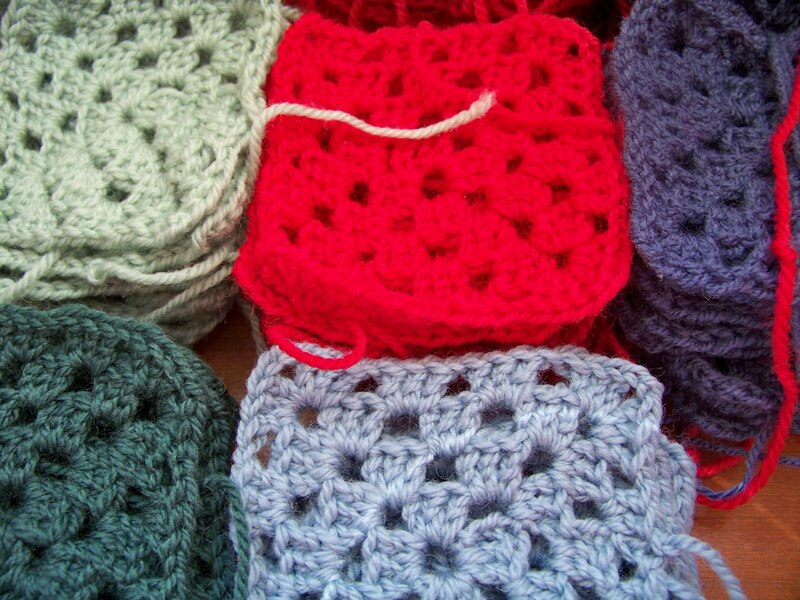 So I got me a book for learning and learnt me how to make a one-coloured granny square. Turns out it's pretty easy. The main colour, a lovely mid-blue, is leftovers that my mother gave me ages ago. She had heaps and heaps of it, and I figured even if all the jersies I ever made for Harper were in that yarn, I'd still have loads of it leftover. The red is from a cardi I was going to make myself but gave up on, and the other colours have been bought in dribs and drabs on sale at various times. My stack of completed squares has grown and grown. I mainly crochet on the train on my way to and from work. I'm often the only person who has a seat to themselves on the train. Sometimes I wonder if the crocheting is the reason. 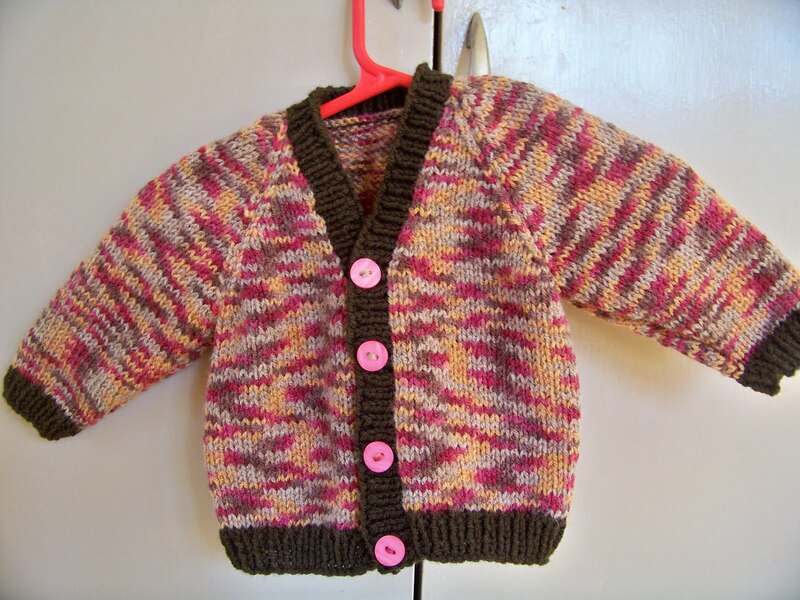 I also whipped up a few baby cardis this year, and fell in love with this simple raglan sleeve pattern. I've got another one on my needles at the moment; the fronts and back took one afternoon. 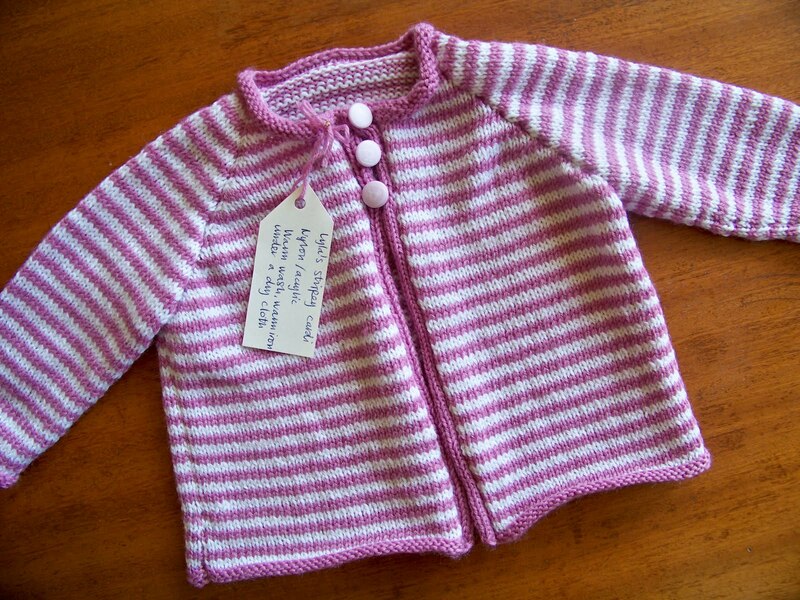 But this little number below took me months, mainly because I am rather a useless knitter and made so many mistakes it wasn't funny. 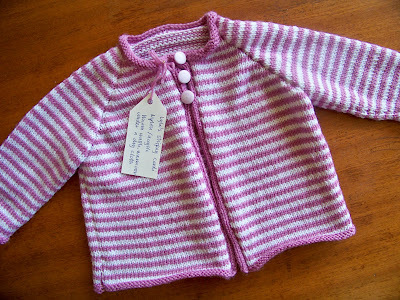 I started it when wee Lyla was born in May, and finally sent it off to her when she was about five months old.